Jason Hunt (UCL Mullard Space Science Laboratory) has been awarded the Bronze medal in Physics for his research poster presented at this year's SET for Britain competition. Jason's research, which focuses on constructing a global model of the Milky Way from the data returned by the European Space Agency's Gaia satellite, was judged against 29 other shortlisted researchers' work. Jason said, "There were a lot of excellent posters at this year's event and I'm very proud to have been awarded the Bronze Medal. I would like to thank the organising committee and the sponsors for making this event possible and allowing me to bring my research to Parliament. With the recent launch of Gaia, we are now entering an exciting time for Galactic astronomy. I hope that my poster has shown people one of the many things that we can do with this data." Overall, 17 researchers from around UCL were shortlisted to present their research to a panel of expert judges and over 100 MPs in this year's competition. 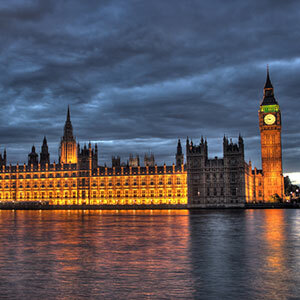 Run by the Parliamentary and Scientific Committee, with support from various institutions, SET for Britain aims to encourage, support and promote early-stage and early career research scientists, engineers, technologists and mathematicians from around the UK whilst fostering dialogue between researchers and MPs. Split into five categories - biological and biomedical sciences, chemistry, engineering, physics and mathematics, the competition offers prizes up to £3,000 for the posters which best communicate high level science to a lay audience.